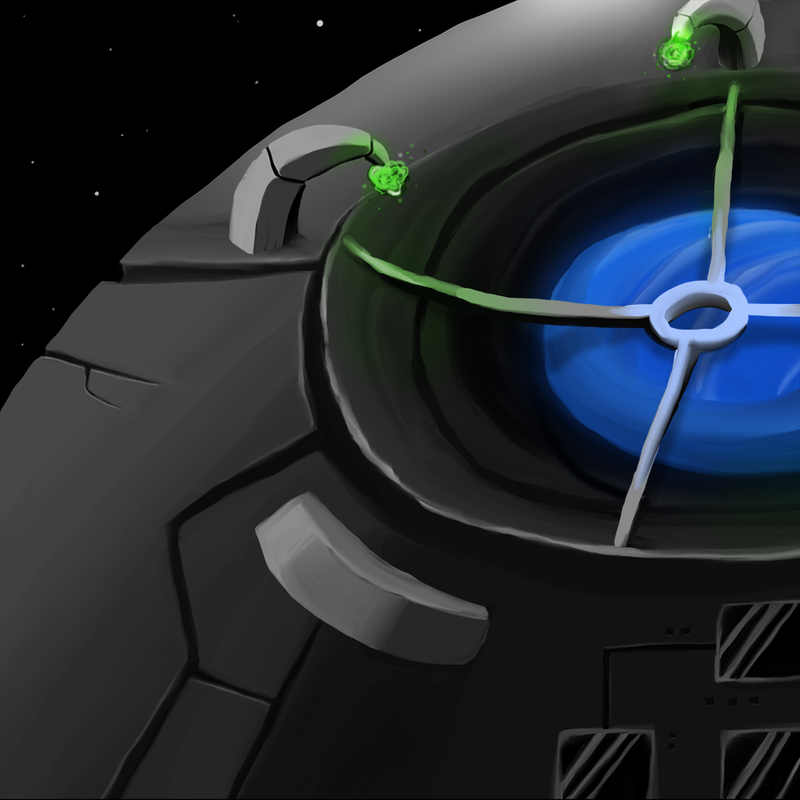 You know, if I planned today’s image from the start and spent a lot of time researching shadows, ship design, and maybe looked over the actual Death Star from Star Wars, then maybe I could actually paint a really high quality picture. That all being said, I’m quite happy with how this is turning out, when you consider the fact that I kind of just jumped into it with zero planning. On Star Trek, they famously use a lot of techno-babble when they talk about the various futuristic tech on board their ships. They’ll shout about things like, “The secondary gyrodyne relays of the propulsion field intermatrix have depolarized!”, and they’re basically trying to make something appear more futuristic. So we’ll be all like, “Oooh I don’t understand what any of that means, they’re from the future!”. So basically, I’m going to consider my Death Star-like space thingy the techno-babble version of a spaceship of death and planet destroy-i-ness. Mainly because I’m sure none of this ship makes any sense structurally, let alone death… ur…ally. I’m going to get this post up quick because the power has already gone down a couple times today. During which I did my drawing on the few hours of juice my laptop’s battery was holding. 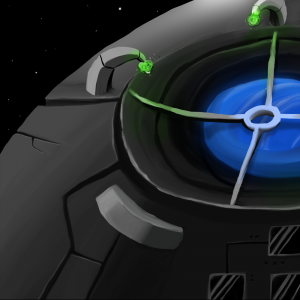 I’m not finished with this Death Star-like thing! I don’t think so anyways.